Love | insignificant starts with "i"
This picture is entirely unrelated to my post. But I like it. 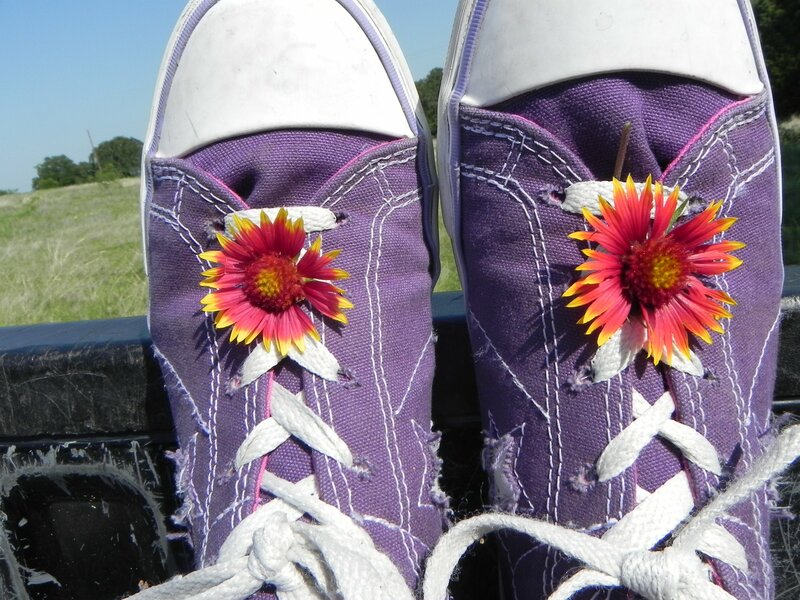 So here you go- my purple converse with an artistically placed flower. Just call me a hipster. #nofilter ANYWAY. There’s something odd about me, which I’m fairly sure I share with a lot of people. In terms of my crushes, I always think in terms of, and try to expect, the worst possible outcome. That way I won’t be disappointed if it happens, and I will be excited if something good does occur. But sometimes I can’t crush that little bubble of hope that blossoms whenever something positive happens (like, for instance, he follows me on twitter or asks me to dance). I know it’s ridiculous to want to control my thoughts and emotions to such an extreme degree, but let’s be real. This feeling of discomfort is painful and awful and I wish I could just control-alter-delete it from my life. I try to be logical and rational, but my mind always spirals into what-ifs (mostly good, which brings up the hope). And I wish that it wouldn’t. But then I wouldn’t be human, would I? I would be…a robot. *beep-beep-boop-beep* Goodnight, human beings. I need to shut down for a proper period of rest before resuming my menial tasks.